It's 3am......: All Star Game! On Tuesday night I got very lucky. My brother called me on Monday to let me know that he had managed to get 2 seats to the Major League Baseball All Star Game and wanted to know if I would like to join him. See - brothers aren't all that bad . We headed out to the game a little late since he got stuck at the airport due to a canceled flight. We still managed to make it to the stadium by the National Anthem and it was so cool. All the Hall of Famers were still out on the field and what a great field of players. 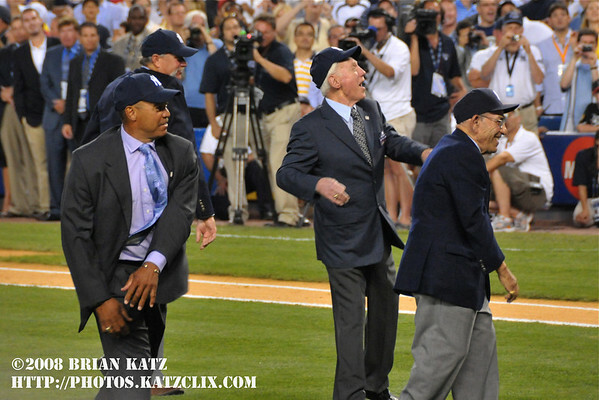 They had 4 Hall of Famer Yankees throw out the first pitch after the Boss came out with the ball. 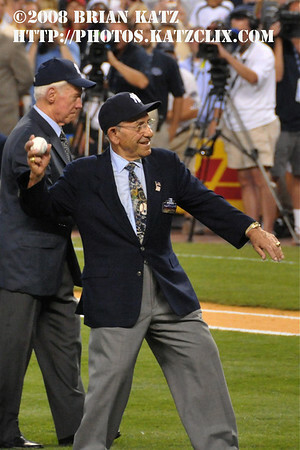 Yogi managed to throw out the first real pitch - his other 3 cohorts waited until he threw to let their's go. Yogi throws out the first pitch! These guys were laughing and having a great time. There are all in good shape and let it fly. What a great start to the game. I will write more on the game later and share a few more photos.